North America has three species of wild swans: the Trumpeter, the Tundra, and the Mute Swan. It might be surprising to learn, but it can actually be pretty difficult to tell the first two apart. The Trumpeter Swan, named for its trumpet-like call, is the largest and sports a red line on its mandible. The Tundra Swan is the smallest, with a honking call and a yellow spot in front of its eye. Both have black bills and a white face, which only adds to the confusion! The Mute Swan has an orange bill, a black face and grunts, snorts or hisses to communicate. Elegant and beautiful, the Trumpeter and Tundra Swans are welcome sights. The same, unfortunately, cannot be said of the Mute Swan, which has recently become a bit of a problem. While Trumpeter Swans were nearly exterminated at the start of the 20th century, Mute Swans were brought over by European settlers, where they were kept as pets or in zoos, parks and on private estates. 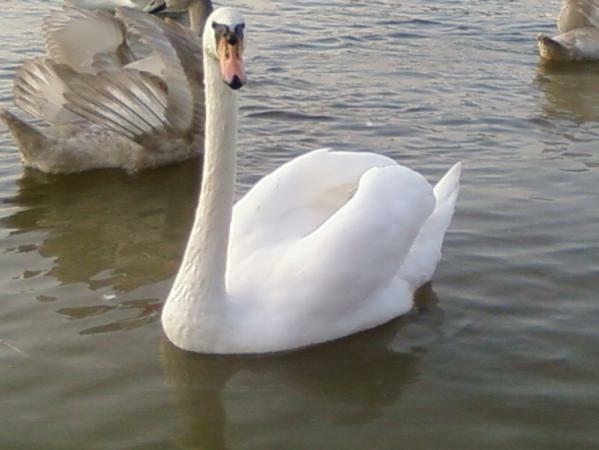 However, many Mute Swans escaped or were released into the wild where they began to breed. Today they are considered an invasive species.